Design and quality are principles on which we have based Anthology Fabrics. As a second generation in fashion apparel manufacturing and with many years of experience in the textile dye and printing, this has sharpened the keen sense of breaking trends, style and design. Now bringing to quilting the excellence that has opened doors to such discerning clients as Nordstrom, Saks Fifth Avenue, Macy's, and Bloomingdales, now extends to quilting community. Our quilting fabrics are among the best in the industry, using rich exquisite colors with traditional to modern motifs. We offer only the finest, from the soft sturdiness of the fabric, high thread count quality and innovation of the fabric construction. We also have many other fabrics in this line! Sold by the yard (36"x44"). Purchases of more than one yard will be cut in a continuous piece. Machine wash cold with like colors, tumble dry low. 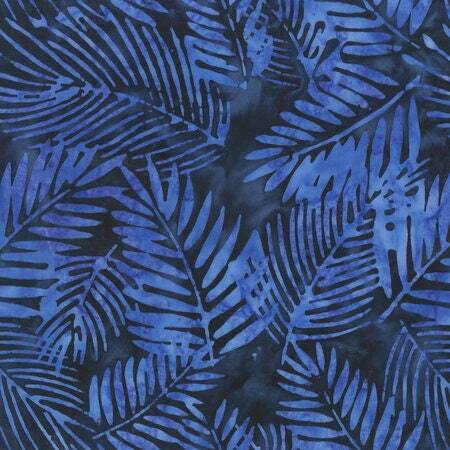 This fabric is 100% cotton and high quality Batik.